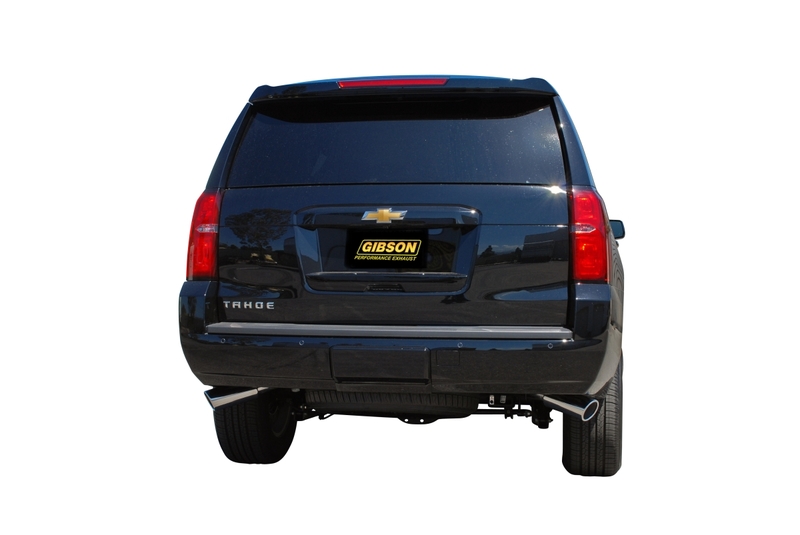 The part number for this item is 5568 and it fits 2015 Chevy Tahoe, GMC Yukon (5.3 Models). 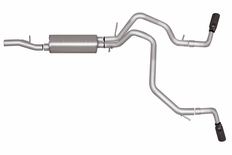 This exhaust features a 2.25" Diameter and DUAL 4" Tips, both exiting at an angle out the back edge of the truck .. This is a Cat-Back exhaust, meaning all piping behind the cat is replaced.